W tym odcinku RetroManCave: Mark Heslop. 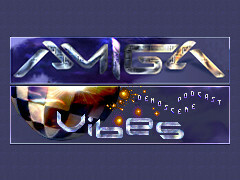 AmigaVibes-Team podcast: Whelpz - We Can Code Again, Ramses - A-Sensation, Virtual Dreams & Fairlight - Breathtaker, Sector 7 - Synergy, Maximum Oderdrive - The Special Brothers, Dreaming - Essence, New Demo - Megaforce i Zappel - Zodiac. 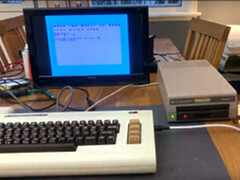 Nowy film od Robina Harbrona: Commodore PC-50 - C64 emulator. 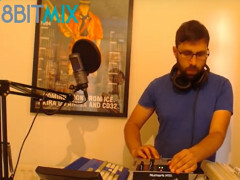 Nowe 8-bit mix podcast z Retro Ravi: Classic Amiga music. 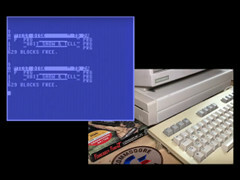 Podcast dla użytkowników Amiga i Commodore: Komoda & Amiga Plus #12, Steven Solie, Amiga Test Kit, Warp 1260, Hollywood 8 addons, 8-bit Slicks, Bridge Strike, Shogo: Mobile Armour, The Wilde Wood, Beyond a Steel Sky, Podcastkompott, Sextimates i Denny Atkin's Best Amiga Tips and Secrets. 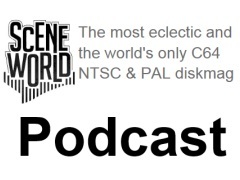 Nowy odcinek Scene World Podcast: Dan Wood, Ravi Abbott, Archon 1981, UWC Wrestling, C256 Foenix, Planet X2, Commander X16 Prototype, MEGA65, ZX Vega+, C128RM, Individual Computers, Warp 1260 i FPGA Video Enhancement. Nowe 8-bit mix podcast z Retro Ravi: Jazz i X-rated. W tym odcinku Retro Asylum Podcast: Odcinek 200 !!! 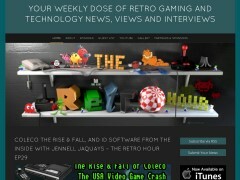 The Retro Hour jest profesjonalnym Podcast z Dan Wood & Ravi Abbott. W tym odcinku: Od Zork do The Dark Room z John Robertson. Nowy odcinek Scene World Podcast: Frederik Schreiber, Mile Nielsen, 3D Realms, Slipgate Studios, KillPixel Games, Voidpoint, 1C, Rad Roders, Ion Maiden, Shelly Harrison, Wrath, Silk, Korion i Alien Escape. 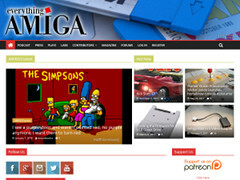 Podcast dla komputera Amiga: Fantasy World Dizzy, Cybernoid The Fighting Machine, SWIV i Putty. Nowy odcinek Scene World Podcast: The Guru Meditation, Samia Halaby, Revision, Amiga on the Lake, Hyperion Entertainment, Amiga Forever (Cloanto), MEGA65, Worthy, Leisure Suit Larry, Gods Remastered, 3D Realms, Bombshell, Rad Rodgers, Doom, Mortal Combat 6, Nintendo Switch, RGCD, Tiger Claw, Power Glove Reloaded, ZX Spectrum Next, C65 Classroom Prototype, Command and Conquer Remastered, Battletech i Kingdom Hearts III. 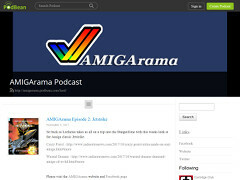 Podcast dla komputera Amiga: Strider, Barbarian The Ultimate Warrior, Midnight Resistance i Qwak. 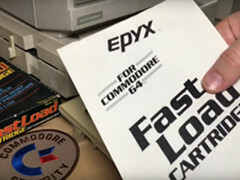 Podcast dla użytkowników Amiga i Commodore: Mortal Kombat, Papercraft A500, Pixel Vixen, Adam Podstawczynski, Marcus Mac Phaidín, Bambi Amiga, Ask Amiga i C64c remonte. The Retro Hour jest profesjonalnym Podcast z Dan Wood & Ravi Abbott. W tym odcinku: Frank Klepacki: Command & Conquer, Dune i Star Wars. 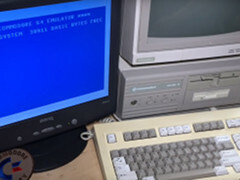 Nowe wideo z 32 Bits: SX32 z 8MB RAM, Serial, Parallel, Floppy, RGB i IDE. Wideo Aarona Baughera: 6502 programowanie w języku asemblera. 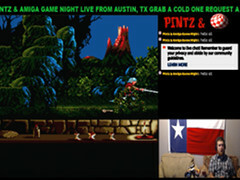 W tym odcinku Pintz & Amiga Game Night: Amiga A4000/040 25mhz, 256 MB, SD2IDE, VA2000, Gotek, whdload i Igame launcher. Nowe artykuły na stronie Amigos: Dungeon Master, Nitro, Second Samurai i Best of 2018. 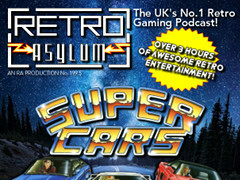 Podcast dla komputera Amiga: Super Cars, Civilization, Robocop, Golden Axe and New Years Special. 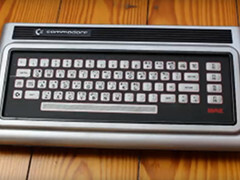 Nowe wideo z Jan Beta: Commodore MAX Machine. The Retro Hour jest profesjonalnym Podcast z Dan Wood & Ravi Abbott. 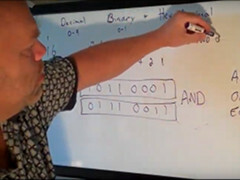 W tym odcinku: Firebird Software i Telecomsoft - Richard Hewison. 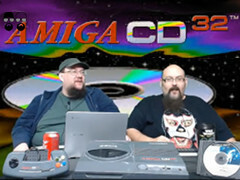 Nowy odcinek Amigos Retro Gaming: Commodore Amiga CD32, Microcosm i The Misadventures of Flink! 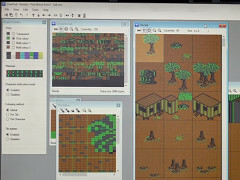 W tym odcinku Guru Meditation: AmigaBill - live Commodore Amiga DPaint demo. The Retro Hour jest profesjonalnym Podcast z Dan Wood & Ravi Abbott. W tym odcinku: CU Amiga magazine - Tony Horgan. 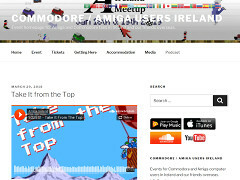 Podcast dla użytkowników Amiga i Commodore: WinUAE 4.1, Amiga AMP, Dizzy Torrent 2.11, ICOMP - Picasso96 gfx, Icaros desktop, Amiga INC, Amino Corporation, Cloanto, Itec - Hyperion, Lemmings, Powerglove, Tiger Claw, Aquabyss, The Shadows of Sergoth, Santa vs Dinos, Digiloi, Kiwi Story, L'abbaye-des-morts, Mortal Kombat 2 i RJ Mical. 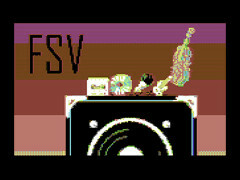 W tym odcinku podcastu Forever Sound Version: Commodore 64 in the 21st Century i Ed Wilson. Podcast w język angielski, z muzyką SID: Chris Abbott & the 8-bit Symphony. 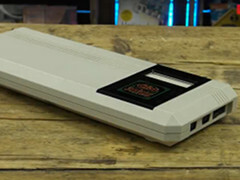 Podcast dla komputera Amiga: James Pond 2 - RoboCod, The Addams Family, Superfrog i Double Dragon. 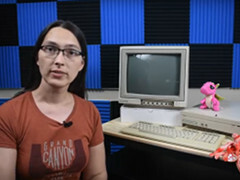 Nowy odcinek Scene World Podcast: Richie Knucklez, Randy Fromm, Video Game 911, Museum of Pinball, Billy Mitchell, Sid Seattle - Twin Galaxies, Richard Loewenstein, Return Magazin, Worthy, Amiga Joker, Farming Simulator, C64 Mini, Portal C64 i Tower of Rubble C64. The Retro Hour jest profesjonalnym Podcast z Dan Wood & Ravi Abbott. W tym odcinku: Christmas super quiz. 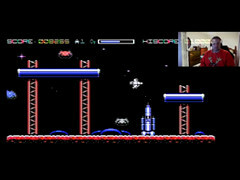 The antediluvian gamer: Rocket Smash - Jet Pac, Commodore 64. 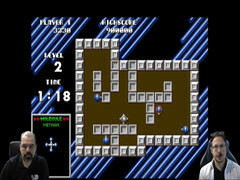 Wideo z Virtual Dimension: Atomix - Amiga. 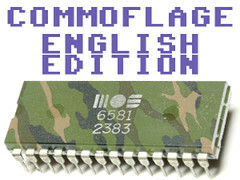 Podcast dla użytkowników Amiga i Commodore: Vampire 1200, Geos 2.0 source code, CS540, AmigaOS 3.1.4, Limbo - C64, ImageMounter, IBrowse, AnimPlayer, Warp 1260, ARMSID, C64 - LEGO, twittAMIGA, Ranchero, SMBFS, PlatoTerm - Amiga, AmiCygnix, Stratagus, Barbarian Plus, Farming Simulator - C64, Zombie Calavera Prologue, Caren and the Tangled Tentacles, Codemasters CD Game Pack i Haiku OS. 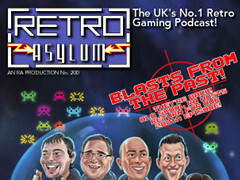 The Retro Hour jest profesjonalnym Podcast z Dan Wood & Ravi Abbott. W tym odcinku: Taskset (The Pit, Super Pipeline, Bozo's Night Out i reggae-fuled Jammin'). 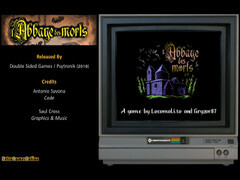 RetroGamerNation nakręcił film o grze L'Abbaye des Morts 64 dla Commodore 64. Nowe artykuły na stronie Amigos: Microprose Formula One Grand Prix, Pierre le Chef is Out to Lunch, Zeewolf 2: Wild Justice i Alien 3 & Personal Nightmare.